It's really happening: Manus Detention Centre closing. Manus Island detention centre to close, PNG Prime Minister confirms. 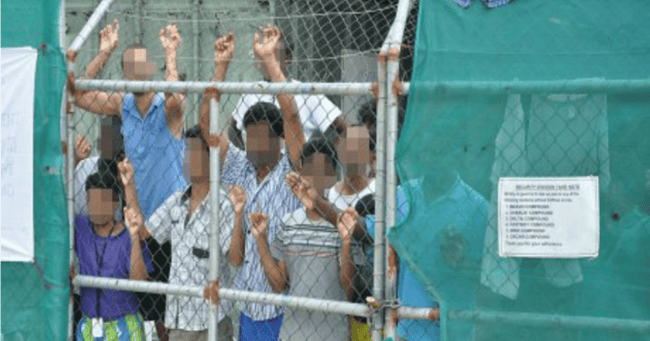 The Manus Island regional processing centre is set to close following a meeting between officials from Papua New Guinea (PNG) and Australia. In a statement, PNG Prime Minister Peter O’Neill said he met with Australian Immigration Minister Peter Dutton today. “A series of options are being advanced and implemented. “It is important that this process is not rushed but carried out in a careful manner. Mr O’Neill called for the closure of the centre in April, after PNG’s Supreme Court ruled Australia’s detention of asylum seekers on Manus Island was illegal. Comment has been sought from Mr Dutton. According to the latest immigration detention statistics issued by the Department of Immigration and Border Protection in June, 854 men remain on Manus Island. When asked on the potential closure of the centre in April, Mr Dutton said the men in the centre would not be resettled in Australia. Late last year, Mr Dutton said preparations were underway to accommodate more asylum seekers at Christmas Island, though that was contingent on a court case the Government eventually won. He told Sky News at the time the Department of Immigration and Border Protection had been planning in case of a loss. “It’s prudent for my department … to put in place contingency arrangements,” he said. Mr O’Neill has previously said PNG did not have the resources to resettle the men. Addressing the National Press Club in Canberra in March, he said questions surrounding the costs of resettling refugees remained. “We have issues about the cost of the resettlement, who is going to pay for it,” Mr O’Neill said.